Come celebrate spring! 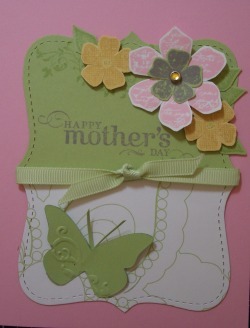 You'll make 2 cards that would be great for a birthday or Mother's day. The class will be held on Thursday, April 8th and repeated on Thursday, April 22nd from 5:30-7:30 pm at Hobby Lobby 12201 W Markham, Little Rock, AR 72211. 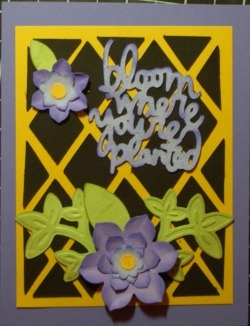 We'll use the Cricut and Sizzix machines to make this card. These machines are great for all kinds of crafting -- cards, scrapbooks, sewing projects and home decor. Come find out all about them. Please let Ellen know at least 3 days prior to the class if you are coming, so she can get the supplies ready, email gratefulstamper@aol.com or phone 877-410-6575 (toll-free). Investment: $15 per person or 2 people for $20.